Today I'm going to talk about tactics. Do you know what your style of play is? It is what suits you best or is it just how you've been taught to play? What do you do well when you play your best? Do you always play the same way versus or do you vary your game depending on your opponent? And most importantly do you have a game plan each and every time you step onto the court? I find tactics are often overlooked in squash. Most coaches and players at least in North America seem to promote a traditional style of squash, keep the ball in play and wait for a good opening. To me it seems strange to coach everyone to play the same style of squash. I believe many of us would benefit from finding our own personal style. Also if we can learn to slightly adjust our game plan depending on who we're playing and what's happening it can make the difference between winning and losing. Below is a questionnaire I asked some of the kids I coach to fill out a recent camp. This questionnaire is designed to help them come up with a game plan. 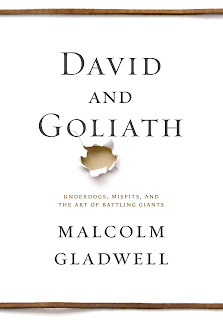 I got this idea from reading Malcolm Gladwell's David and Goliath: Underdogs, Misfits and the Art of Battling Giants. 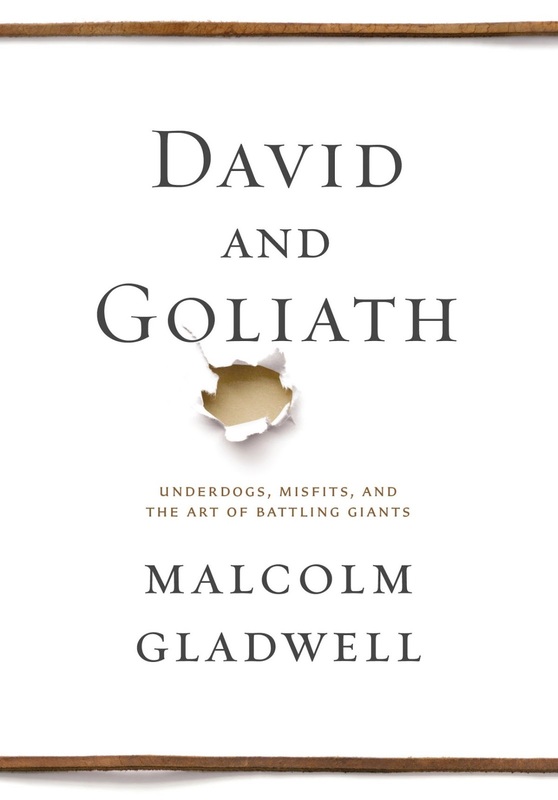 Gladwell talks about how we incorrectly view giants. This happens in sport as well. Often before we step on court we already have a good idea of what will happen. This is especially troublesome when we think we can't win. We may feel that our opponent is so fast, is so mentally tough, or has such good length that we have no chance to defeat them. We can easily point out our opponent's strengths and have difficulty seeing their weaknesses as well as our own strengths. The questionnaire below can help you find out what areas you may be stronger than your opponent and can be used to come up with a game plan to counter your opponent's perceived unbeatable strengths! If you've read Gladwell's book you'll know that just because someone has an overwhelmingly obvious strength, it doesn't mean they cannot be beaten. There is a style that is most effective against people that hit hard, are left handed, are shooters, and so on. I'll get into some of these topics in future articles, but today I'll just focus on learning more about tactics and coming up with a game plan. The above areas are what I would consider the most vital for developing a game plan and winning squash. Even if your opponent is stronger than you in a number of the above areas you can still find another way to improve your odds of winning by playing to your strengths, exploiting your opponents weaknesses while learning how to avoid their strengths as much as possible. I've said it before and I'll say it again. If you're interested in tactics you should also read Brad Gilbert's book called Winning Ugly. Gilbert talks about how he used tactics and really thought his way to the top 10 of the tennis world. Gilbert wouldn't just go in and play the same traditional style of tennis because he knew he didn't match up against people with superior talents (the perceived giants!). When there's a will there's a way and Gilbert discusses all the little details that made him one of the toughest and most frustrating players to play on tour. The challenge with changing tactics during a match is when we become to analytical and overthink. This is where the often heard motto of KISS (keep it simple stupid) comes to mind. If we overcomplicate things we normally won't perform. This is where coaching can make a big difference. It's also extremely challenging to have an objective view while performing. We are often too concerned about the scoreboard and use this to judge how we are playing. If you focus on the process and game plan you are more likely to play in the zone and your best squash. Find your balance of strategizing and playing instinctively. This is why various styles and adjustments needs to be practiced over and over so they become automatic and instinctual. Maybe your strengths will suit an attacking and deceptive style of play. If so then you should come up with a game plan that fosters that style of play. If we coaches and parents try and get everyone to play the same, conservative style of play we have little chance of succeeding. If we play the same way as our opponent, but they are better at it, doesn't it make sense to have an alternative? Sometimes you need to take the path less traveled because that is what suits your game. There are a lot of ways to win and finding the way that works best for you is part of the journey. Hopefully the above questionnaire will give you some guidance on becoming the best you can possibly be. That's it for today. I hope you think a bit more about your style of play and what suits you best. Even a bad game plan is a plan. Go out and try and to execute your game plan and then if it isn't working have a plan B. After a game or match (or even quicker as you gain experience) you can ask yourself whether the game plan was correct and if so did you execute it to the best of your ability. Then it really comes down to trial and error. You learn how to play different ways against different opponents and ideally this will give you the best chance of being successful against a variety of opponents.